Network and Phone Cabling from experts! Network Cabling services across Canada. Low-Voltage Network Wiring & Cabling for small to large businesses including Single and Multiple Floor Installations. We do Commercial installation of all types including Corporate Offices, Banks, Schools, Community Centers, Hospitals, Warehouse, Government Offices and more. Looking for Network cabling Toronto, contact us! Network Cabling includes Voice and Data Network Cabling with Cat 3, Cat 5, and Cat 6 type cabling. We can also assist you in case of Site relocation, new set up or Office Move. We also do Demarc Extensions and Access Point Installation. Our team will assist you to professionally design your telephone or network system with expert installations of all your voice and data cabling. 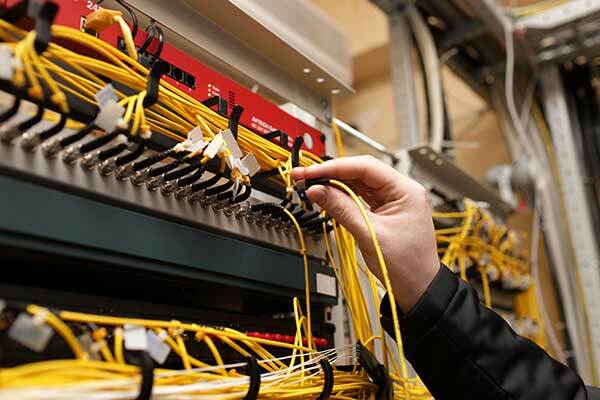 Once the cabling job is complete, you offer you complete Network Cabling Maintenance service contract. This saves you from the hassles of adding or updating new data connections. We offer ongoing support and maintenance services for systems. We can also configure the telecommunication equipment you use at office. We also help you set up Patch Panels, Adding Access Points, Setting up Wireless Internet and more.